The main injuries we see are those associated with barbed wire and netting, but occasionally we see bats injured by entanglement in discarded fishing line. or hooks. 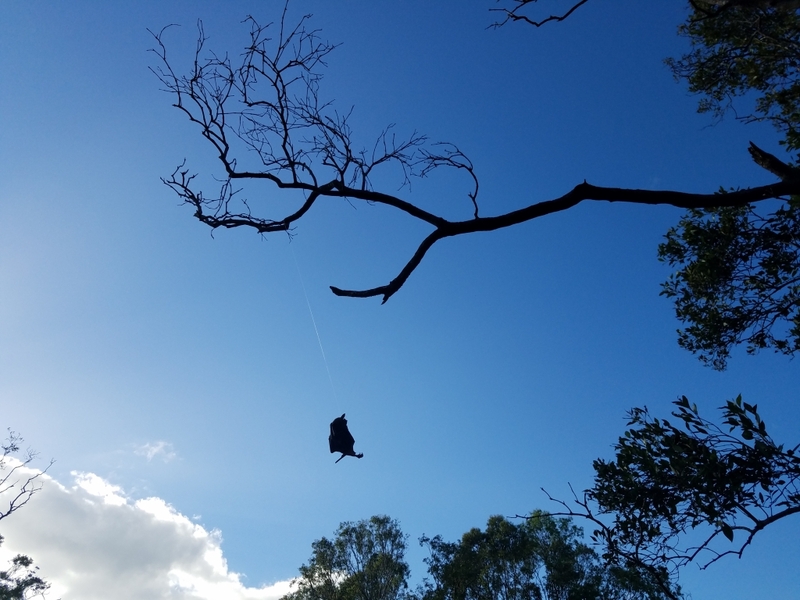 This Little Red flying-fox was caught around the neck and wing, unable to hang by the feet. She was euthanased by a vet because of the extent of her injuries. A young Spectacled flying-fox was brought into us with the fishing hook caught through her nose. She made a good recovery and was released.